Bring your own paint (BYOP) events are pretty damn practical for regular paintballers. 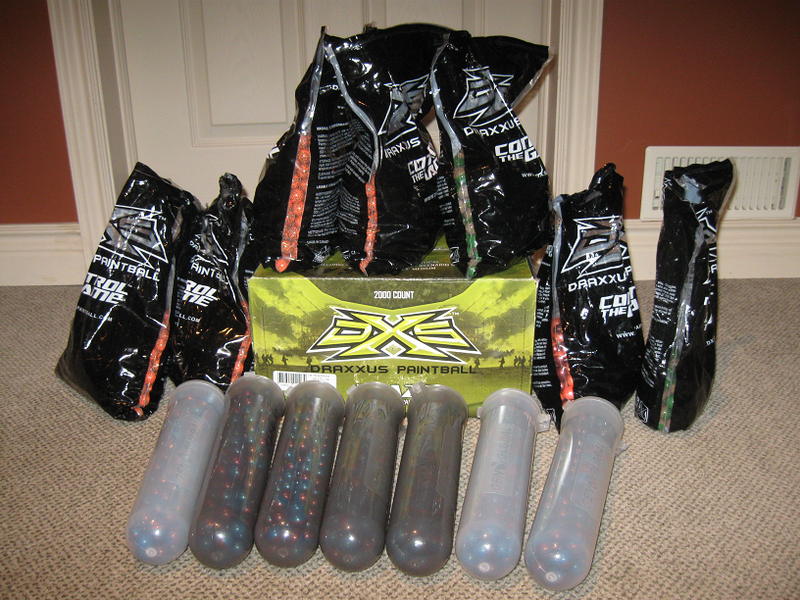 Most Big Game events don't sell paintballs by the bag, and force you to splurge on a full case for the day. For those of us who shoot conservatively, or use limited ammo devices like magazines and tac-cap loaders, that means a lot of leftover paint coming home with you at the end of the day. This can lead to pretty large stockpiles in your basement over the course of a season (that's 4000 and counting in the photo above). 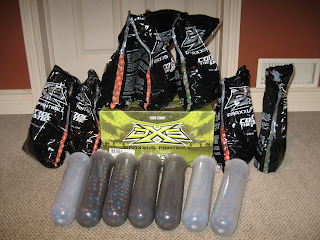 BYOP events allow you to make use of those leftover paintballs, instead of letting them go bad. 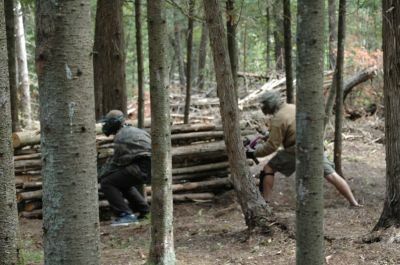 Since most paintball fields make the bulk of their profit on paintball sales, BYOP events are pretty rare in paintball in general. This holds true in Ottawa as well, with most fields in the area being "field paint-only" operations. One exception to this is a field called Ottawa X-Treme Paintball (OXP). 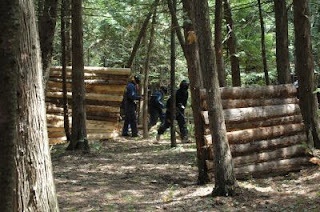 OXP is a medium-sized paintball field in Stittsville, Ontario, in the West end of Ottawa. For a $20 entry fee, every Sunday you can attend with your own gear and play all day using your own leftover paint. All-day air is included in the price. OXP used to be associated with Paint Storm Indoor, however the business partnership split earlier this year. 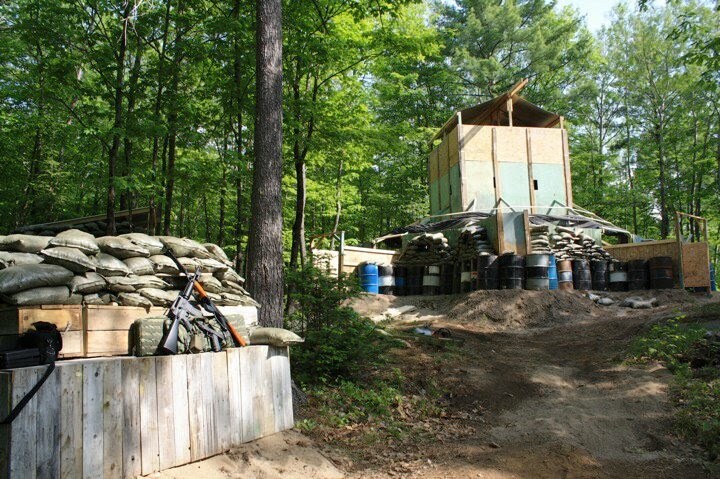 Before the split, OXP featured a 3-storey monstrosity known as The Firebase, which was the centerpiece of a Big Game there in Fall 2009. However, after the split one of the business partners dismantled the entire structure and took it with him to a new field on the Quebec side (almost 2 hours drive from Ottawa). In its place lies the foundation of the tower, which itself makes for a fun trench network and defensive position as-is. There are plans to build a smaller tower in the centre, along with further defensive positions on the flanks. There are 3 other woodsball fields, and a miniature "village" packed with plenty of bunkers. All have plenty of cover and are fairly large, which allows for trying out a lot of different team tactics. The field's web site may be pretty plain in appearance, but what OXP lacks in promotion and marketing, it makes up for in fun. 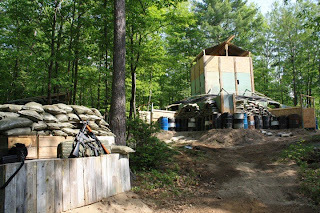 It's a full-fledged paintball field, with plenty of rental markers, a clean staging area, and competent staff. Obviously there are a lot of paintball fields out there, and several in the Ottawa area. So why am I focusing on Ottawa X-Treme Paintball? Well, as with many other things in life, BYOP events are "Use it or lose it". 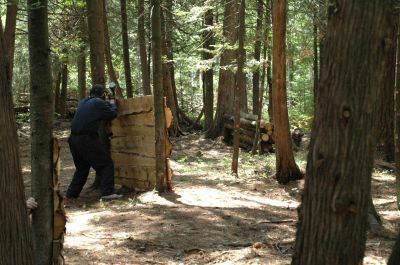 If the numbers don't keep up, and it's no longer profitable to allow clients to bring their own paintballs, the field owner will just drop the idea altogether. OXP hosts the only regular BYOP event at an outdoor field in Ottawa, and to keep it going we as a community need to support it! The paintball community in Ottawa is small, and all of us - woodsballers, speedballers, Milsim players - need to stick together to keep it healthy. So if you're reading this, and you live in the Ottawa area, please come out and support OXP this Sunday, June 27th! Bring $20 and all that paint you've got sitting around in your basement, and join me for a day of fun on the field. Thanks to the players who made it out that day!